Last week, Google made its brand-new Nexus 5 Android smartphone official, putting an end to weeks of leaks and countless rounds of rumors. The Nexus 5, now the hottest Android phone and one of the most notable smartphones available today, is listed for purchase on the Google Play store. I'm an Android user, and like my fellow Android fans, I'm anxious to get my hands on the new Nexus. I requested a review unit, but Google tells me its allotment of evaluation device is exhausted. I just bought an iPhone, and I also have a number of newish Android devices, so I'm holding off on the Nexus purchase, at least for a little while. But that doesn't mean I haven't careful considered and assessed the Nexus 5. Here are the five best things about Google's Nexus 5 - the five things that will very likely make resisting the new Nexus a losing battle for me. The single best thing about the Nexus 5, and all Google Nexus devices, is the immediate access users get to Android software updates just as soon as they become available. Nexus Android software comes directly from Google. As such, it doesn't need any carrier approval - and it doesn't have any of the often-cumbersome features carriers build onto Android to make it unique. That means Nexus users are always first to get new Android features, functionality and fixes. Google makes it simple to circumvent the wireless carrier when purchasing the Nexus 5; the device is available contract-free via the Google Play Store. Its price is very reasonable for an off-contract, unsubsidized smartphone. 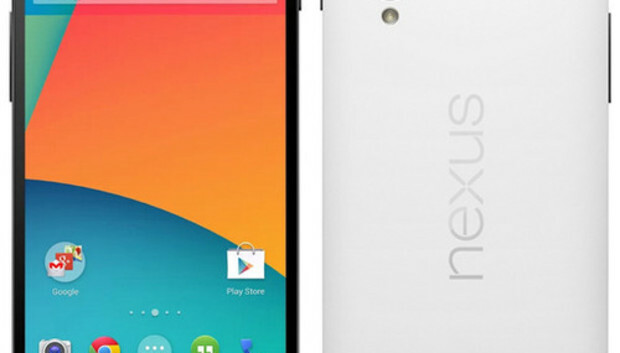 The 16GB version costs $350, and the 32GB Nexus 5 goes for $500. In comparison, the T-Mobile version of Apple's new iPhone 5s, off contract, sells for $650 (16GB); $750 (32GB); and $850 (64GB). And AT&T sells the unsubsidized Samsung Galaxy S4 for $640 (16GB) and $695 (32GB). The new Nexus 5 is without a doubt one of the cheapest and best options for people looking to purchase an unlocked, unsubsidized device that can be used on multiple wireless carriers and networks. Perhaps the most notable hardware feature of the Nexus 5 is its display, which is 4.95" and 1920x1080 pixels at 445ppi, making it one of the highest resolution smartphone display available. In contrast, the iPhone 5s 4" retina display is 1136x640 pixels at 326ppi. The Galaxy S4 has a 5", 1920x1080-pixel display at 441ppi. The Nexus 5 display is also made of Gorilla Glass 3, the latest version of Corning's durably-designed glass. As mentioned above, I have not tested the Nexus 5, and therefore, I can't say its display is better or worse than my iPhone 5s or Galaxy S4. But I also use a Nexus 7 (2013), which has a 1920x1200 display at 323ppi, and if the Nexus 5 is anything like the Nexus 7, its display is sure to impress. At the same time that Google officially announced the Nexus 5, it also took the wraps off a new wireless charging pad that's reportedly compatible with both the Nexus 5 and Nexus 7. The pad uses Qi wireless power technology, but Google hasn't yet listed it for sale, even though it was expected last week. Pricing and availability details are also still MIA, but the gadget is expected to be released via Google Play in the near future. The Nexus 5's built-in wireless charging is notable. While the technology and concept of wireless charging isn't new, the Nexus family of device is one of the first lines to feature built-in versions of the tech that don't require separate battery covers of cases. The Nexus 5 charging pad also reportedly features built-in magnets to hold the device in place while charging. The Nexus is 5 is one of the best-looking Android phones ever released. That has a lot to do with its simple, minimalist design similar to its predecessor, the Nexus 4, which was also made by LG Electronics. The device comes in two colors: Black and white. And it only has two "physical" buttons: a power button on one side and the volume up and down buttons on the other side. Both buttons are made of ceramic, which is a nice touch. There are no buttons at all on the display. Unfortunately, the Nexus 5 does not have a removable battery or batter cover, or a slot for a memory card. This is unfortunate from a functionality standpoint, but it does makes for a cleaner design overall. In other words, the Nexus is a really nice looking smartphone. Learn more about Google's new Nexus 5 device on the company's website and purchase one of your own via Google Play.